Jan Lodewyk de Villiers was born on 8 March 1922 in Koffiefontein, Orange Freestate, where he attended school. He studied at the Theological Seminary of the University of Orange Freestate, Stellenbosch University, (BA 1941, MA in Latin and Greek, 1942, Licentiate in Theology, 1946) and the University of Amsterdam (DTh, 1950). Title of his doctoral thesis (1950): Die Betekenis van huiothesia (aanneming tot kinders) in die briewe van Paulus. He served as minister of the Strooidak Congregation in Paarl and in Bonnievale. He was professor at the Theological College in Wellington and later in Bellville. He was professor of Theology Stellenbosch University until his retirement in 1987. In the years 1959 and 1983 J. L. de Villiers supplied the exegetical notes for for the Acts of the Apostels and Galatians in the Bibles with explanatory notes. 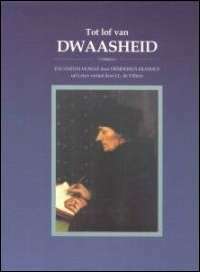 He also took part in the new translation of the Afrikaanse Bybel in 1983. His great love was music and he conducted at the US song festival. Jan de Villiers died on 10 May 2009. He was married to Helene de Villiers, who is an author and translator of children's stories. They had four children.